This past weekend I read A Stolen Life. It seemed to go along with my theme of reading Room and other books that cause nightmares when you read them before bed. Honestly, it’s really hard to review a book that is someone’s true story. A horrific story at that. This book didn’t pull me in and make me want to stay up late to finish it. It was disturbing, sad, and even gave me this empty feeling throughout – but I didn’t find myself that connected to Jaycee and I wasn’t passionate about reading until the end. It’s hard not to compare the book to Room. Even though Room was strange, disturbing and I could never relate in real life to Jack — I connected to him while reading his story. But then the point of A Stolen Life is clearly different than that of the fictional book Room. A Stolen Life was meant to tell Jaycee’s story, to give hope, and to start making the invisible, visible. And there is no doubt that she did that. However, I’m all about being honest with my book reviews and I would have preferred to read this as a borrowed copy from someone instead of a purchased hardcover. Now the question is…what book is next? I have two dates tonight. Last week during vacation I read 3 books. It was amazing to read again, I can’t believe how much I missed reading. I would recommend all three of these books! 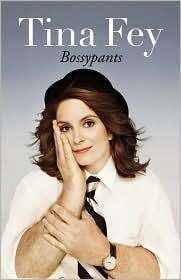 Tina Fey’s story, from her nerdy childhood to SNL to romance – she tells it all in such a hilarious tone. This is a quick, fantastic beach read! A San Francisco doctor who wants nothing more than to have a baby, but can’t due to fertility issues. A poor mother in India saves her newborn daughter’s life by giving her away, but the decision haunts her from that day on. The Indian daughter raised by a white American mother in constant search of who she is and what happened to her family. This book was heart wrenching and honest. I finished it in one day. A story of kidnapping, survival, mother-son bonding, and finally life outside of the Room through the eyes and mind of 5 year-old Jack. 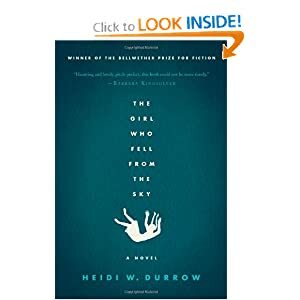 This is a dark and disturbing book – yet told from such a unique perspective. Okay, so I’m not really interested in having a true virtual book club (or maybe I would be, I guess it depends on what it entails). Anyway, what I really have enjoyed recently is noticing what others are reading in the blog world and then reading those books. So far it has led me to some amazing books (like Jenna‘s suggestion to read The Kitchen House). If I haven’t said it before I am VERY open to book suggestions. I should probably start a page with some of my favorites since they tend to be the most highly suggested and then hopefully people can recommend new ones.